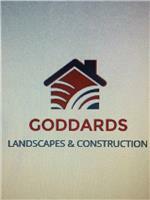 Goddards Landscapes & Construction - Builder based in Liphook, Hampshire. Goddard's Landscape & Construction are specialist landscape Gardners and Builders - Goddard's is a family run business established since 1984, our range of services include driveways, decking, fencing, paving and all domestic and commerical services. We also have a team who specialise in Building, including conversions, new builds and extensions.